Peonies are a Spring brides dream flower, they are big, fluffy, lightly scented and truly romantic -real show-stoppers. They have a limited season from early spring through to the end of June and are available in various shades of pink, (from blush to nearly red)- ‘Duchesse de Nemours’ is the favoured white bridal peony, they also come in buttery cream, burgundy and of course the ever-popular coral peonies ‘Coral Charm’ and ‘Coral Sunset’. They are grown in the UK during spring and early summer, in Jersey, Lincolnshire and Cambridgeshire. Peonies come in both single and double verities and team up beautifully with other Spring flowers or are perfect just by themselves. Hellebores – available through winter and early spring. 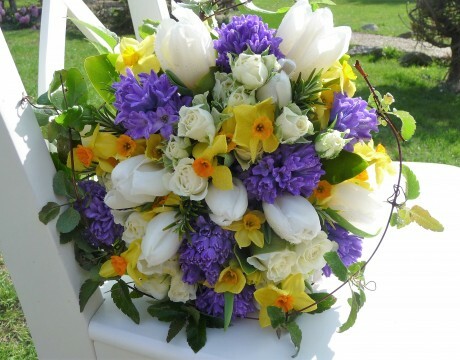 Hyacinths – readily available throughout spring they are highly scented and work best in ‘hand tied’ designs. Muscari – (grape hyacinths) available from spring to early summer, they add a lovely texture to bridal bouquets. Narcissus – available throughout spring, they come in single and double varieties- perfect for the rustic style wedding, mixed with berries, thistles, daisies and lots of foliage. Ranunculus – (buttercup) is available from spring to early summer, there is a vast array of colours to choose from. 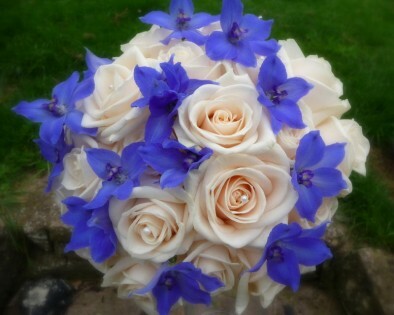 They work beautifully with the ‘boho chic’ style of wedding flowers. Syringa – (lilac) Very fragrant, available spring to early summer. Tulips – Popular and an economical flower choice. Available winter through to early summer. They are showy and generally brightly coloured. The love of all things vintage, especially vintage-themed weddings shows no sign of letting up this coming year. 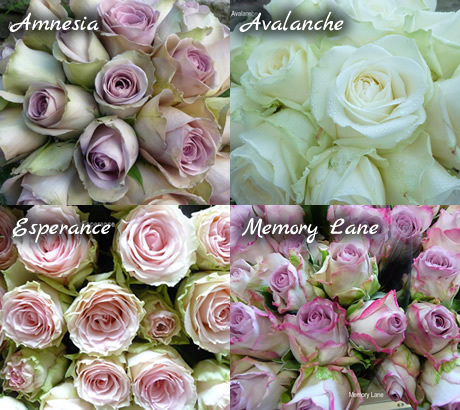 There are different varieties of vintage; ‘classic vintage’ (large urns of tumbling blooms using muted palates:-antique roses, bi coloured hydrangeas and blowsy peonies) being the most popular to date. For this year there has been quite a bit of interest in 1920s/30s-style ‘Hollywood Glamour’ themed weddings with emphasis on opulence and glamour. 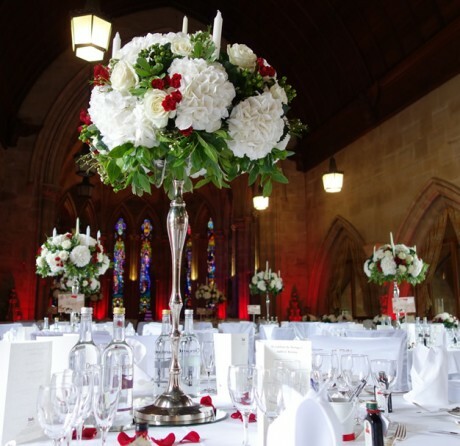 Think tall sparkling crystal candelabras and large impressive vases of white ostrich feathers teamed with glittering sliver birch and hanging crystal garlands, or an abundance of dramatic red flowers – a firm staple of the 1930’s Vintage Hollywood era was blood red roses. For fashion conscious brides-to-be, black and white themed weddings are seemingly making a comeback this year. For this monochromatic colour scheme there is always a profusion of white flowers but very few true black as they tend to be darkest red or have a lot of purple in their composition. 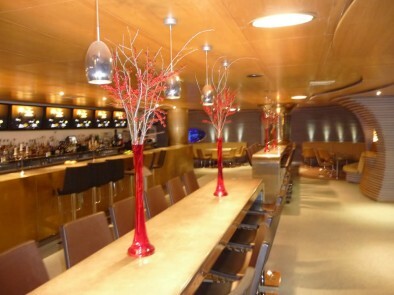 They are however always stylish, contemporary and dramatic. There are also some lovely white flowers with touches of black that work well with this theme e.g. 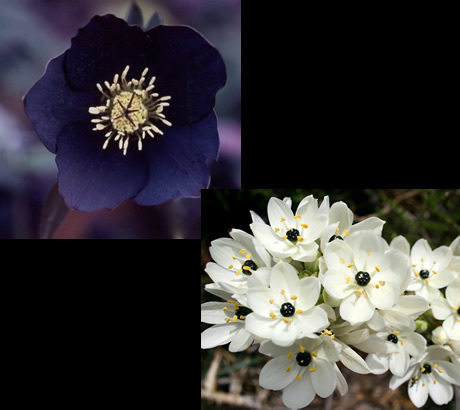 Ornithologum, ( tiny white flowers with black eyes) or white anemones- These beautiful spring flowers have dark centres and look stunning en-mass in low black (or white) cube vases on reception tables as well as used alone in a hand tied bridal bouquet. Calla lilies also are available in white with a dark (purple) throat – very sophisticated. As are gerberas, and these make inexpensive bridal bouquets and table centres. 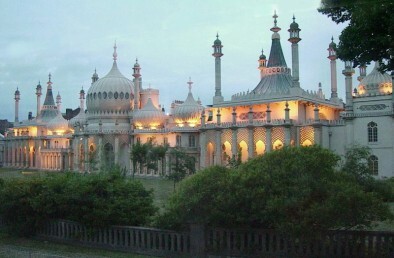 The ‘Open University’ award ceremonies, ‘Martin Associates’ at the Grand Hotel in Brighton, ‘Brett Landscaping’ at South Lodge, Horsham and of course our many weekend weddings. Happy New Year! To all our corporate and contract customers and brides old and new it’s been a pleasure designing flowers for your events and weddings. 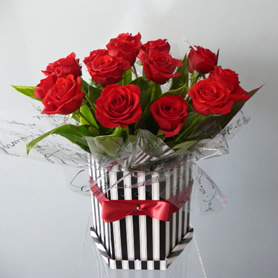 We have been extremely busy working on our website, and have just launched our online shop offering beautiful gift bouquets and Valentines roses presented in our unique hatboxes, as well as 25% off all featured funeral tributes (see ‘Funeral’ page- online shop). 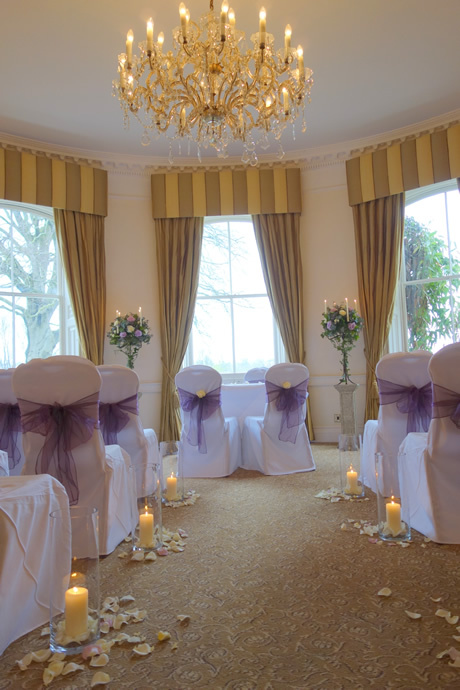 We are now able to supply chair covers with bows/sashes, plus table runners (big selection of colours and fabrics available) for all our wedding and event clients, call 01273- 301813 for more information. Our budget range of table centres is proving popular – suitable for both weddings and events with prices from £12.50 (includes vase hire). 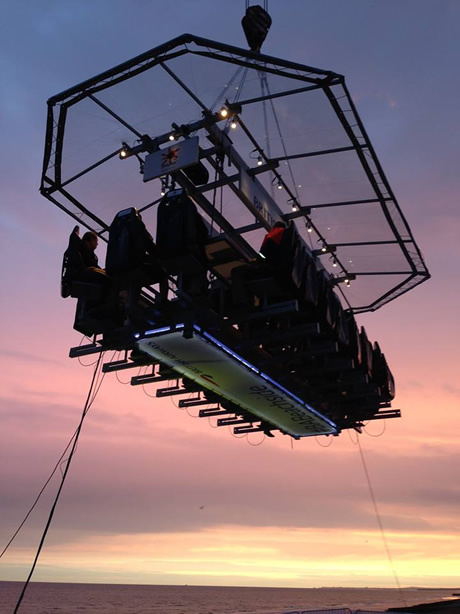 Email me at: – nburger@bloomsforbusiness.com for information and images. 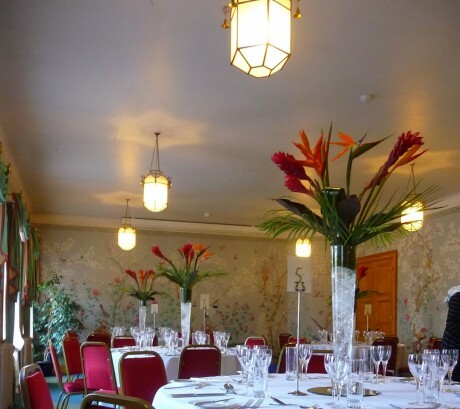 For all of you feeling creative we also have available a ‘To Hire‘ range of vases, flower stands, candelabras, mirrored plates, tall standard bay trees and lovely vintage bird cages plus more (click on ‘Weddings’ above and have a look). 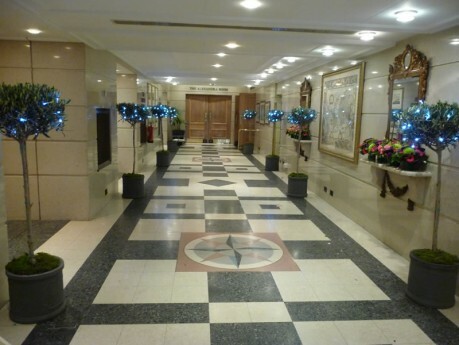 Another busy year with just over 60 weddings completed- we are now well into autumn/winter which is typically ‘event/party’ season and have just created several metre long arrangements for a 3 day event held at the Brighton Centre for Hampton Medical. Earlier in the year Nikki was asked by Thomson Reuters to design table centre arrangements for a lavish event they were hosting in Brighton. 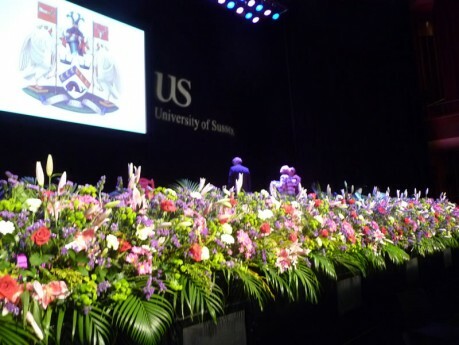 In Spring next year we will be designing the flowers for the bi -annual award ceremonies for the universities of Brighton, Sussex and the Open University. 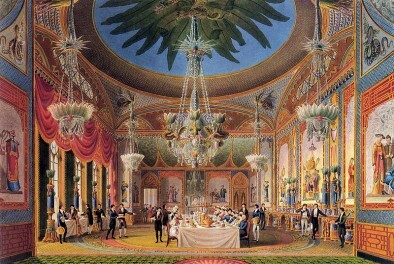 These events last between 2 and 6 days long and are held at the Brighton Dome. We design in situ cascading stage arrangements, sometimes up to 21 metres long , the whole length of the theatre stage- they comprise of scented, seasonal flowers. we refresh and maintain the displays for the duration- the colour palette and theme is changed for each event. We have just launched our ‘to hire’ range of vases, stands, bay trees and bird cages. 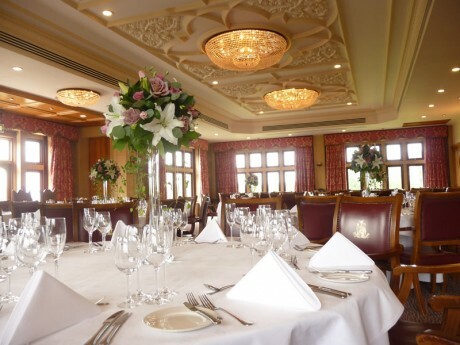 As well as our complete ‘event packages’, which consist of chair covers, flowers, tea light candles and mirrored plates.